Back in September, the dev team posted that the PvP focused "Siege" mode "just hasn't worked out." Outside of a small devoted number of players, the cooperative "Survival" mode was proving to be far more popular. That presented a problem for the developer as devoting resources to address the concerns/issues of both player sets meant the game was never going to satisfy anyone. So, they decided that it would be best to drop "Siege" entirely and start focusing on "Survival" with the "next big update." That update is coming next month. This update will not only remove the "Siege" mode from the game, it will also rebalance the existing roster of 15 characters to make them all more viable for the "Survival" mode. 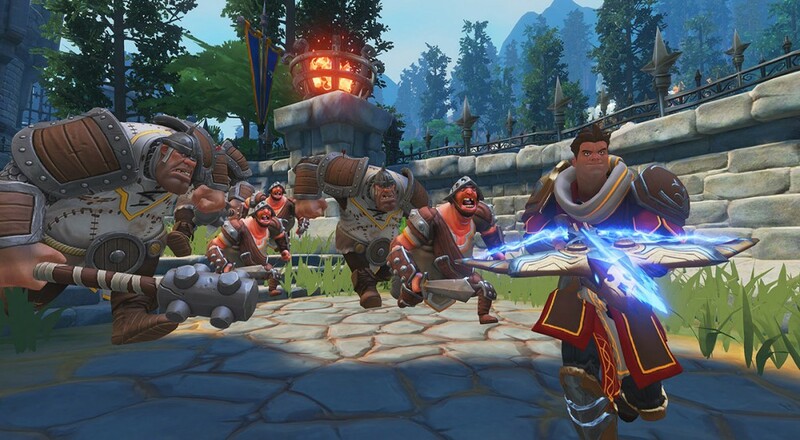 They'll also be making some in-game adjustments to the movement speeds of all heroes and the "squishness" of the minions so that it has more of that "classic Orcs Must Die" feel for which the community has been asking. It's a pretty big shift for the title and one that we certainly hope works out well for the team. You can catch a live preview of the changes that are in store for the game next month, as well as enjoy the team's Extra Life Twitch stream this Friday, November 18. The specific portion of the stream that will be dedicated to showing off update 1.6 will start around 6:00 pm Central (7:00 pm Eastern). So tune in, check out what's coming, and donate some money (if you can) for the kids. A quick extra special thanks to those of you in our Co-Optimus community that tuned in to watch Eric's, Baldy's, and Bobby's Extra Life stream a couple weeks back and donated (catch the recaps here). We truly appreciate everyone who donated what they could and helped out for a worth cause. Page created in 0.3691 seconds.